A space explosion nicknamed ‘the Cow’ has been puzzling astronomers and astrophysicists across the globe, but now an international team of scientists involving UCL has a new hypothesis about the mysterious blast. The event, officially called AT2018cow and dubbed “the Cow” after the final letters in its astronomical name, was observed in June 2018 and is unlike any celestial outburst ever seen before. 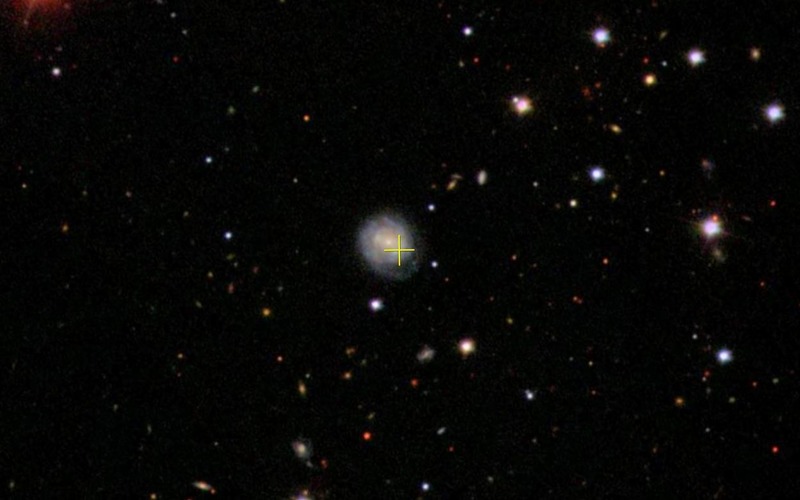 Over three days, the Cow produced a sudden explosion of light at least 10 times brighter than a typical supernova, and then it faded over the next few months. This unusual event occurred near a star-forming galaxy known as CGCG 137-068, located about 200 million light-years away in the constellation Hercules, and was first observed by the NASA-funded Asteroid Terrestrial-impact Last Alert System telescope in Hawaii. Now a new paper, due to be published in Monthly Notices of the Royal Astronomical Society, provides new evidence to suggest that the Cow is a monster black hole shredding a passing star. The study was carried out using data from multiple NASA missions, including the Neil Gehrels Swift Observatory (a space telescope designed to detect gamma-ray bursts) and the Nuclear Spectroscopic Telescope Array (a space-based X-ray telescope). The study’s authors believe the evidence suggests that the shredded star was a white dwarf — a hot, roughly Earth-sized stellar remnant marking the final state of stars like our Sun. They also calculated that the black hole’s mass ranges from 100,000 to one million times the Sun’s, almost as large as the central black hole of its host galaxy. It is unusual to see black holes of this scale outside the center of a galaxy, but it’s possible the Cow occurred in a nearby satellite galaxy or globular star cluster whose older stellar populations could have a higher proportion of white dwarfs than average galaxies. The interpretation has been shared at a panel discussion on Thursday 10 January 2019 at the 233rd American Astronomical Society meeting in Seattle, US. The research was supported by the UK Space Agency and the UK Science and Technology Facilities Council. AT2018COW Animation. Watch what scientists think happens when a black hole tears apart a hot, dense white dwarf star. A team working with observations from NASA’s Neil Gehrels Swift Observatory suggest this process explains a mysterious outburst known as AT2018cow.